Busy pub, even at 4:30pm on a weekday. Not too pricey if you stick with the 4% and under. This is the Cask Pub & Kitchen so reviews should be put on that page. For some reason BITE has not shut this page down. My first visit to this cracking pub / bar. 10 cask ales on the hand pumps, a good selection with prices varying according to ABV. Also a large range of bottles, some as expensive as £23.00 a bottle! Bright and airy inside, a few tables and chairs outside for the smokers. 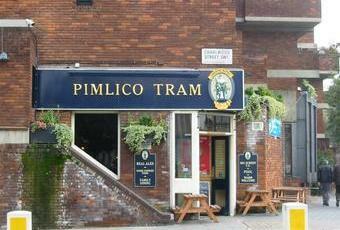 Me and the wife had a couple of drinks here, both of the ales I had were very good and perfectly served. However I was slightly put off by the over powering smell of urine in the gent's toilet...nice tiling on the walls though. Very much worth a visit if you like your ales, regular meet the brewer sessions are held as well. It's like a mini beer festival on every visit. If you want to taste something before commiting to a pint, that's fine. No sports screens either. Bonus!